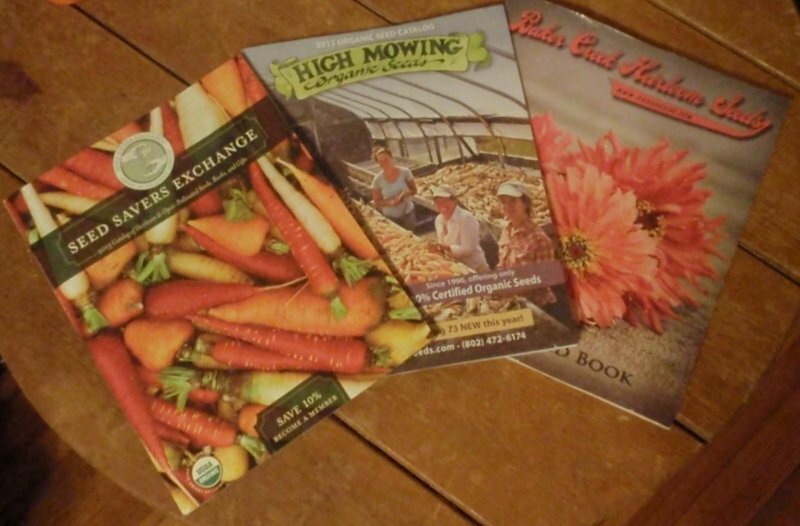 These beautiful seed catalogs make planning next year’s garden fun. Well, it is that time of year again, seed catalog time. Like a lot of gardeners, I have shut down my garden for the winter. The arrival of the seed catalogs means that it is time to start planning the garden for next year. Its time to ask questions like, will you expand your garden next year? What new varieties do you want to try out? This is where the seed catalogs come in. They are full of great pictures of beautiful vegetables along with enticing descriptions to match the photos. With all that in mind I would like to share my favorite seed catalogs. Seed Savers Exchange This is the seed catalog I started with when I began my square foot garden. Their seeds often come with a story that enhances the experience. Do you want to grow the same variety of bell peppers as Thomas Jefferson? Then this is the catalog for you. High Mowing Organic Seeds This Vermont company specializes in organic seeds. I have had success with some of their herbs. As a customer, I have also opted in to their email newsletter and enjoy receiving it as well. Baker Creek Heirloom Seeds They have some of the most beautiful photography in their catalog and offer a wide variety of heirloom seeds. Look through their amazing pictures and be encouraged. I plan to order some new varieties of tomato seed from Baker Creek this year. If you have a favorite seed catalog, let me know in the comments below.